80C39 and MCS48 based Process Controller is the main circuit that has the LED 7 segment display for output and push keys for input. The old form of Human Machine Interface – HMI. The 4040 counter derives a slow clock from the 7555 timer. The counter has to be reset by firmware by periodically sending a reset pulse on port pin P2.7 to say “Alls Well”. If the firmware or uC “hangs” or due to EMI or Spikes the uC gets into an endless loop. Then the “Alls Well” pulses stop coming. The 4040 keeps counting till Q10 output goes high and resets the uC or can we say Wakes it up rudely. 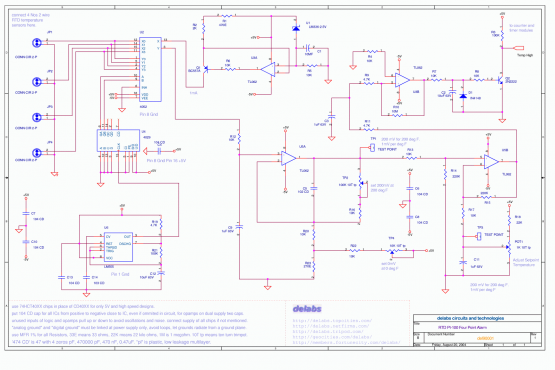 This is a R-2R Digital to Analog Converter, It converts a byte (8 bit) to a analog value. It has 256 levels including zero. This can be used to convert a byte sent from a microcontroller to a analog value like say 1.51 V. At full scale, when all 8 bits are high calibrate to give 2.55 V then ever bit increment is 0.01V, 10mV steps. If the eight bits inputs are from a counter you then will see a staircase waveform at output, each step being 10mV higher or lower depending on whether the counter is counting up or down. 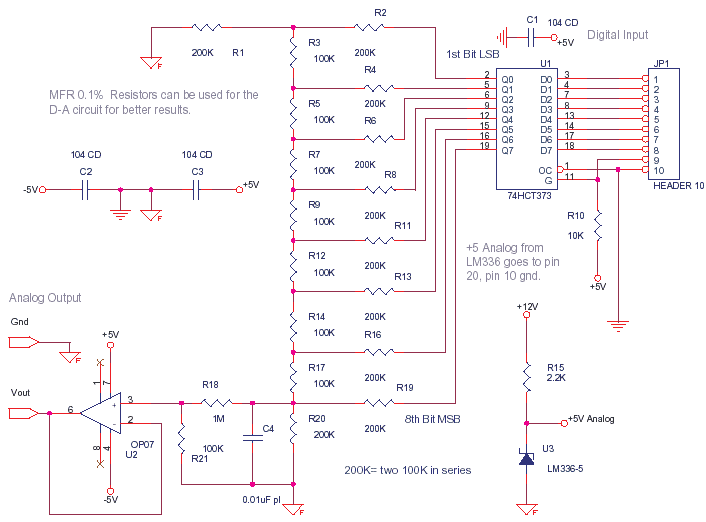 The accuracy of the analog output depends on the resistor ladder. The OP07 has an offset error of about 70uV only. The 74HCT373 power is derived from LM336 a stable reference so that the D-A is accurate. 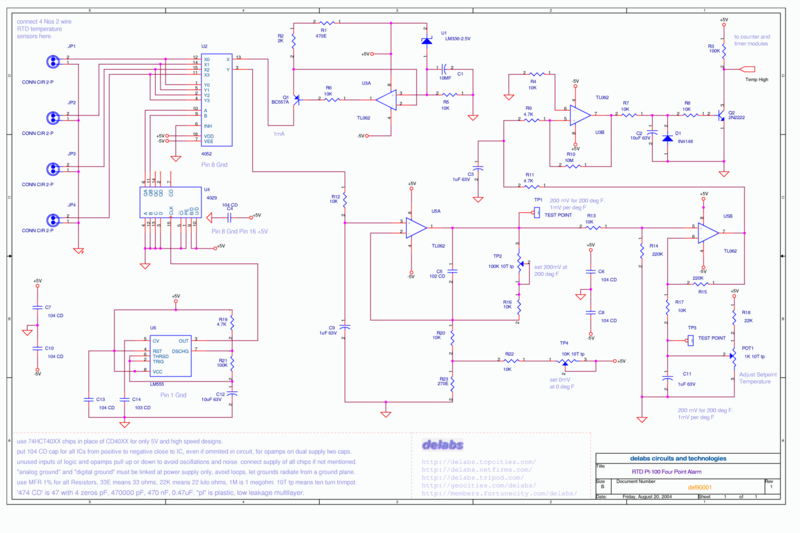 The 8 bit data can be latched with the 74HCT373 to get a stable analog value for control systems. 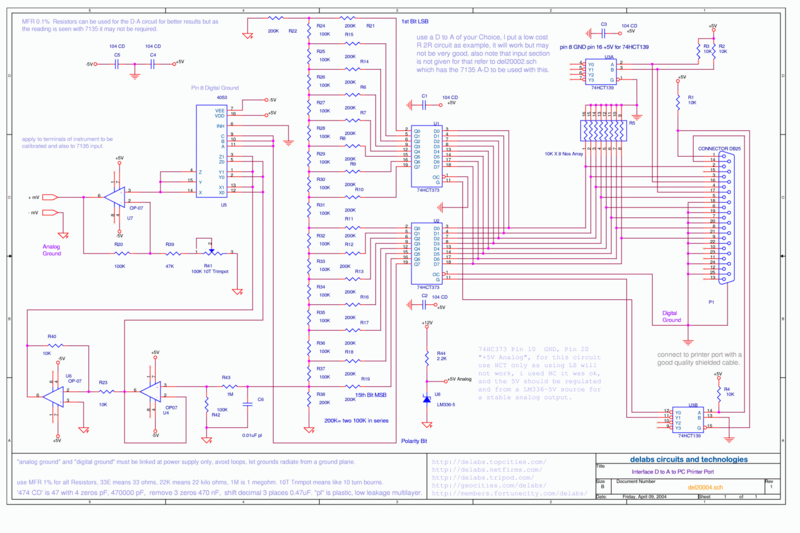 See the Full page with parts list at my Website – Function Generator using ICL8038. Waveforms – Sine, Triangular and Square. Output impedance – 50 ohms. A, B, and C are the Digital Control for x, y and z input and output pairs.The voltage at Vinx is stored in C1 when A goes high, when A is low the voltage stored in C1 is read by buffer U2A. The stby or standby input should be low when sample and hold is operating. If stby is taken high then C1 Cap is isolated and leakage is minimum. 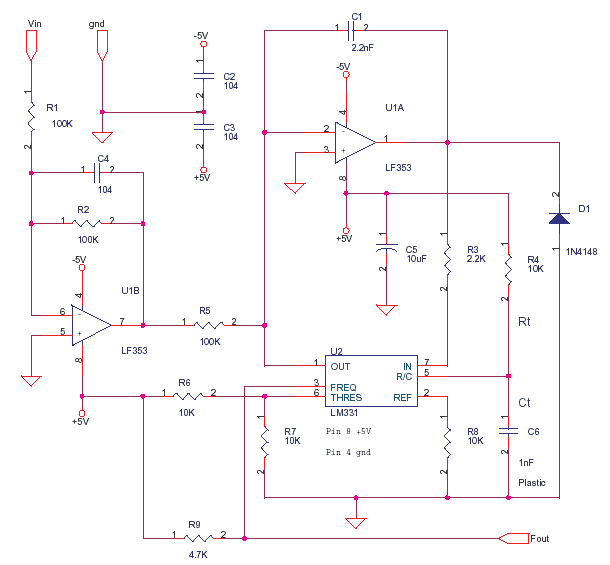 The supply of +/- 7.5V is chosen as OFF resistance of 4053 is high at this supply. 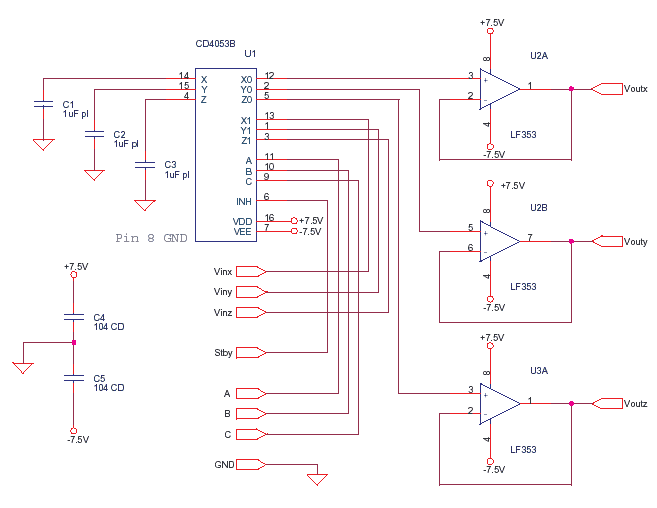 This Circuit is a simple Analog to Digital Interface with a capability of 10 to 12 bits resolution. 10 bits means 1024 counts or parts of a full scale FS which is close to 3-1/2 1999 counts. In this 1 V can be read as 1.000 V that means even 1mV can be resolved for FS of 1V. The Caps C6 and others must be plastic multilayer low-leakage types for accuracy of reading. 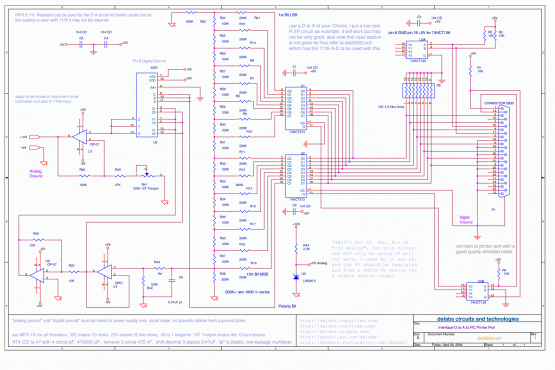 Use all 1% MFR 100ppm or better resistors, Design gain of U1B for the Full Scale you want. The Output Fout is a Frequency which is directly proportional to the measured voltage Vin. The pulses can be isolated using opto-couplers to avoid ground loops or electric hazard. 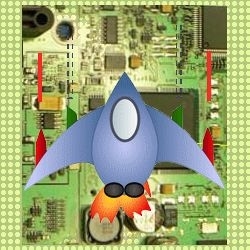 An additional protection and scaling circuit at the input may be required for some sensors.